What if we told you that there was nothing stopping you from pulling shots and steaming milk just like the baristas at your local coffee stop? What if we told you you could do a better job, save money on drinks, and wouldn't even need to change out of your jammies? 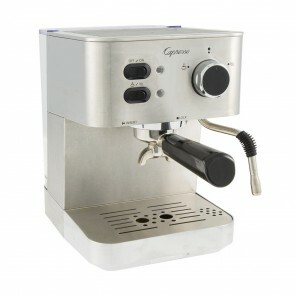 Welcome to our selection of semi-automatic espresso machines. Think of these as home-sized coffee shop machines. Making espresso? You may want the help of a machine. Espresso requires pressurized water to be sent through finely-ground coffee beans to create concentrated shots. Without the help of automation, getting the right amount of heat and pressure for your espresso can take a while. With the proper equipment, it will only take seconds. In the realm of automated espresso-making, no piece of equipment is more popular than the semi-automatic espresso machine. Though they come in a myriad of designs, shapes and sizes, all semi-automatic espresso machines fulfill at least some of the same functions. They all automate important parts of the espresso-making process. 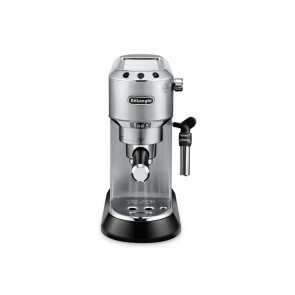 This helps baristas and at-home coffee crafters save time and create delicious-tasting espresso with ease. 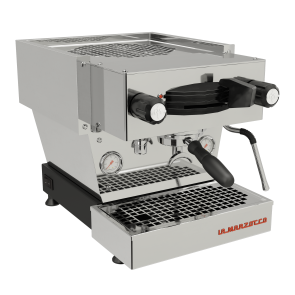 Here at Seattle Coffee Gear, we are proud to carry an extensive selection of semi-automatic espresso machines for both home and commercial applications. Read on to learn about the benefits and features of our available semi-automatic espresso machines, and shop with us today! 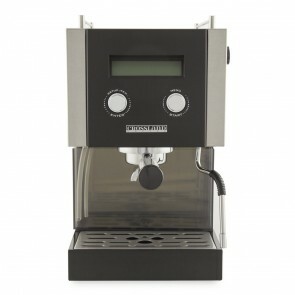 If you’re wondering what a semi-automatic espresso machine is and what it does, it may help you to know that the vast majority of espresso makers out there are semi-automatic. A few are manual (fully human-powered), but these are usually used for outdoor settings or extreme applications where portability is a must and power may not be easy to find. Some are “super-automatic,” which means they automate even more of the espresso-making process than semi-automatic machines. 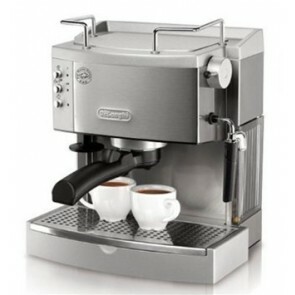 However, for most baristas and at-home coffee enthusiasts, semi-automatic espresso machines fit the bill just fine. That’s because these machines take care of essential steps in the espresso-making process such as heating the water, pressurizing it and sending it through the ground coffee at the appropriate rate. This final step is often called extraction and may be manually controlled or programmed on a timer depending on the semi-automatic espresso machine used. Here at Seattle Coffee Gear, we proudly carry a selection of state-of-the-art semi-automatic espresso machines for use in the home and the café. Browse our continually-updated inventory for the industry’s best semi-automatic solutions from brands including Rocket Espresso, De’Longhi, Breville, Nuova Simonelli and more. Also, be sure to check out the links by provided by our professionals below to learn more about semi-automatic espresso machines, how to use them and how to choose the perfect one for your needs.